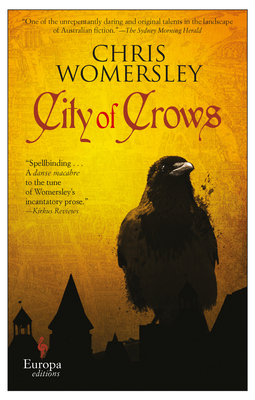 Set in seventeenth-century France--a country in the thrall of dark magic, its social fabric weakened by years of plague--Chris Womersley's City of Crows is a richly imagined and engrossing tour de force. Inspired by real-life events, it tells the story of Charlotte Picot, a young woman from the country forced to venture to the fearsome city of Paris in search of her only-remaining son, Nicolas. Fate (or coincidence) places the quick-witted charlatan Adam Lesage in her path. Lesage is newly released from the prison galleys and on the hunt for treasure, but, believing him to be a spirit she has summoned from the underworld, Charlotte enlists his help in finding her child. Charlotte and Lesage--comically ill-matched but nevertheless essential to one another--journey to Paris, then known as the City of Crows: Charlotte in search of Nicolas, and Lesage seeking a fresh start. Dazzlingly told, with humor and flair, City of Crows is a novel for readers who like their fiction atmospheric, adventurous, spine-tingling, and beautifully written. Pre-revolutionary France, with all its ribaldry, superstition, and intrigue is mesmerizing, and Charlotte Picot's story--the story of a mother in search of her lost son--holds universal appeal. Chris Womersley's previous novels have been awarded the Ned Kelly Award for Best First Fiction, the Indie Award for Best Fiction, the ABIA Award for Literary Fiction, and have been shortlisted for the Miles Franklin Award, The Age Book of the Year, and the ALS Gold Medal for Literature. His short fiction has appeared in Granta, The Best Australian Stories, Meanjin and Griffith Review. Womersley lives in Melbourne with his wife and son.